Isn’t it interesting that most people want to give advice but only few really want to hear it, and even fewer people take the advice? When you are in sales position or in a regular activity that involves giving and taking advice, this is indeed a puzzling but interesting challenge to solve. We go through life and face many challenges. Many times we wish we had someone to answer our questions, to break things down for us, to give us pointers in the right direction. Then, when we have the answer, we keep it in our “answer book” and happily pull it out when we feel someone else could benefit from it. But the reaction we receive, more often than not, isn’t really positive. And it’s not just unsolicited advice. Even when directly asked for advice, giving the advice can “backfire”. You give your honest advice when asked, and yet the person who asked might react in various negative ways. It’s obvious the problem is multidimensional. We are dealing here with trust, intimacy, authority, and many other dimensions. For example, the advice giver sees a problem and gives a solution. The recipient of that advice might not see the problem as a problem, at least not yet. He might have to discover the problem first himself in order to understand the essence and necessity of the solution. Another example, someone might give electrical advice but he is no electrician. Or health related advice but she is not a physician. Someone may lack ‘formal authority’ but does that automatically mean the advice is unfounded or not trustworthy? It’s interesting to consider who takes what side in such scenarios and why. Giving advice and taking advice is an interesting scenario and in order to uncover what might be going on I would like to examine both parties: the advice giver’s and the taker’s motivation and their general psychological state of mind. Think of a professor or a teacher. They belong to the group of people “educators” who, in my opinion, know the least about how human learning really works. It’s as if decades of psychological research were banned in their educator training. They constantly want to “lecture” you because they believe, deep down and unconsciously, that learning needs to be externally stimulated, almost forced upon, and that learning needs to be broken down into facts and steps and then abstracted and generalized. So these ladies and gentlemen get upset when kids aren’t listening and conforming to their demands of respect. Even in their private life there is a tendency to “lecture and preach”. Remember preachers and lecturers often stand on a podium, higher than the audience, for good reasons which go beyond better acoustics. In order to understand the “lecturer type” of unsolicited advice givers we need to check out their need situation in the Maslow pyramid. Many advice givers of the lecturer type are really after satisfying their own needs for respect, affection, status, and reputation, summarized as “esteem”. That’s especially true when their advice doesn’t really help and when they are the only ones talking. A consultant-style attitude, on the other hand, is usually more common when people want to genuinely help and the consultant style revolves around asking many questions and letting the advice taker do the talking. In my opinion, an effective educator is hence one that acts like a consultant; one who asks questions and lets the student figure things out almost entirely or entirely on her own. The educator who insists on talking, preparing sessions, and shoveling facts down the throats of students is neither effective, nor welcome, for the simple reason that he’s talking to the wall: there is really no dialogue taking place. Similar to the typical educator, when people give advice that is unsolicited they might just be trying to satisfy their needs for attention, affection, status, and other esteem needs. That’s not a “bad” thing as such since everyone has these needs and at some point if they get frustrated, it’s natural to reach out to others to satisfy one’s own need. If we repel people who are in need, aren’t we acting asocial? The person giving the advice is overall well-meaning but may tend to focus too much on his own needs. You could simply interrupt, thank him, and take the stage with questions. Ask for specific things that are useful to you and let him go on answering what matters to you or at least something that entertains you for a while. It’s a win-win scenario, no feelings hurt and no boring monologues either. 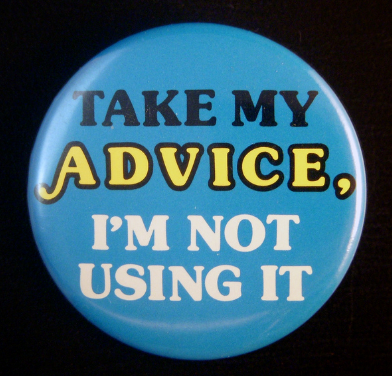 The “educator” advice giver is only a drag when he talks about stuff no one wants to hear. If we can direct her to our subject of interest, all over sudden, she’s a treasure! By the way, the same strategy works well with people who talk like a waterfall. If you can’t escape, you could try to at least “redirect” or hijack the conversation to a new topic that is interesting to everyone involved. By letting people talk and showing sincere appreciation, their need for attention or status or affection will be eventually satisfied…and they will eventually finish their monolog and ask you a question. Another form of the lecturer is the know-it-all, who clearly doesn’t know what he is talking about but nevertheless keeps bothering everyone. This person is basically giving the wrong advice at the wrong time to the wrong person. The motivation of the know-it-all is different from the lecturer. The lecturer can have high self-esteem and not realize she is talking to the wall. Perhaps the lecturer is not good reading other people’s emotions and hence cannot identify the signals that she needs to stop talking. The know-it-all, however, is driven by low self-esteem. She sees her self-worth in a very negative light. She might think that she has to prove that she is the smartest, so that she feels better about herself. Note that the attitude and internal drive can be competitive. She competes with you in a way. Competitions have only one winner. She wants to be right and that’s all that counts. Or, she might just want to expose her knowledge in order to place herself in a good light (as “well-educated”, for example). Unlike the lecturer who might sincerely want to help you but does so ineffectively, the know-it-all is exclusively after satisfying her own esteem and love needs. The intention to help is not there. If you see a potential future benefit of having these people around you, the “prescription” is the similar as for the lecturer. They need to talk more, not less. Steer the conversation to a subject that interests you and let them take the stage. All people need is love and understanding, even if it just comes in the form of “validation”. Obviously you will want to agree with the know-it-all as much as possible since disagreements will only throw more coal into the fire. Disagreements “backfire” because a person with low self-esteem cannot live with the thought that he made a mistake or that he is not being accepted; hence, they try hard to create the persona of a flawless idealized person, even when they are completely wrong. Like many people, I must confess I used to be handing out unsolicited advice as well but with the motivation to genuinely help someone. I would generally describe it as an attempt to liberate the other person from some kind of “suffering” or pain, in whatever form it may be. I believe most people give advice with a sincere desire to help; however, I came to the conclusion it’s usually not a good idea to give advice at all, but there are exceptions. There are people who pull out a notebook and write down your advice and likely take it, but they are very few. Why is that and what motivates those people to actually take you seriously and appreciate you? It gets even more challenging when you point out, for example, that something they used to do in the past was, let’s call it “counter-productive” and there is a “better” way. Note their reaction: the high self-esteem person will react maybe shocked at first but then enlightened and positive. The person with low self-esteem will see it as criticism, as an attack, and react very negatively. Individuals with true high self-esteem actually intentionally seek criticism since they truly want improvement. Liberators giving unsolicited advice are also doing something else without realizing it. You can see this happening very well in children. Children, as psychologist Adler has pointed out, are sort of “born with” an inferiority complex that originates from the fact that their livelihood is 100% dependent on us adults, who are larger and stronger. We adults can be thus intimidating to the child, especially when there is a disagreement where the children feel powerless. Children, like all people, have a need for autonomy. That’s why they do not want to be told what to do. If you want them to eat their veggies, the simple trick is to give them 3-4 options (all good choices) to pick from. The “buy-in” process in the brain has been well documented in sales books as well. When people are aware they made the choice themselves, they don’t “rebel”. When the “liberator” goes ahead and tells someone the “best way” to do X or Y, without being asked, she is interfering with the person’s need of autonomy. People like to do things themselves, including figuring things out. This process was named “discovery”. If there is anything that gives people a feel-good “kick”, it’s discovery. Without discovery there is no learning taking place. What we were doing in school and university, I call it “bulimic memorizing”. Learning can involve expecting an outcome or just some seemingly aimless “doing” of some sort. But when you figure something out yourself, you feel good about yourself, it pumps your self-esteem, and, most importantly, you learn a lesson for life. Real learning happens without force, external stimulus, breakdowns and abstractions given by a teacher, and so forth. In Maslow’s need pyramid Maslow placed the needs for knowledge and self-actualization at the higher end, which are the needs I’m referring to. Think about the effectiveness of discovery: We were all told hundreds of times: “the stove is hot, don’t touch it.” But the real experience of getting burned is so much more effective and long-lasting. When the liberator drops the answer whether asked or not, he “steals” from the advice seeker the pleasures of discovery. It’s like you start watching a movie and someone tells you the entire story beforehand. Obviously there is a good chance the movie won’t be as interesting to watch anymore. Another interesting fact that most educators out there don’t appear to comprehend (sorry to sound so negative) is that the attention span when listening is about one minute. If you talk more than a minute at a time, people are unlikely to follow. And look at our schools and universities: the lecturer literally preaches for hours and the kids are supposed to listen attentively for eight hours straight and sit quietly the entire day. That’s simply not going to ever work. The teacher who breaks down a process into steps has just removed discovery from the process. Students won’t learn anything. When Edison invented the lightbulb he tried thousands of times with different designs until he figured out a design that was adequate. If he simply told us about the design of the last bulb he made, it doesn’t tell us anything about the previous 3,000 failed attempts and why those failed. The entire process he went through was necessary for him to learn how and why lightbulbs work. These weren’t 3,000 failures; they were 3,000 milestones to learning how to build an electric lightbulb. Hence, Edison’s discovery path was his actual learning experience. Since everyone has a unique background and way of learning, no two discovery path are the same. Then how could an educator teach 30+ kids at the same time, when all of them individually have unique ways of learning? Can the typical classroom be effective at all? Is perhaps one-on-one tutoring a better choice? And, if our own personal discovery path is unique, isn’t the advice we give to others is likely incompatible with their discovery path they have ahead of them? To recap the above discussion, the person receiving the advice will respond in certain ways, depending on her psychological state. People might ask for advice simply because they are bored and want to be entertained. We all have the need to be in a group, to converse, to make each other feel good, to feel welcome. Affection and esteem need satisfaction is like a “group therapy” and people might simply want to return the favor. It feels natural and useful to get a conversation going and feel good. Validation: people ask for advice but really some may just want to be validated. They want their feelings or plans confirmed, not really your advice. The key here is the point in time when they seek your advice. Before the ‘event’ or after? If the person asks for your advice before doing something, she might really want to hear your opinion. If she asks after the fact, she likely wants to hear a confirmation of having made a good decision. But it’s not that easy. The person’s self-esteem is another dimension to keep in mind. The above applies to a low self-esteem person (the unfortunate majority of people). A high self-esteem person wants the real truth, even after the fact. He might want to be validated that yes, indeed, he screwed up. Having made a mistake he knows doesn’t make him a bad person; it might upset him but he is not going to feel less of a human, i.e. worthless, etc. What will disappointment the high self-esteem advice seeker is when you give him “feel good” validation when he wants a genuine answer. This might come across as insincere or that you are trying to conceal your true opinion for some reason. This leads us to the next section of low self-esteem behaviors, such as competitiveness, inferiority complexes, and superiority complexes. Toxic people with low self-esteem might be actively trying to “punch” you with their request for advice, which is really a covered-up attempt to hurt you. Competitive people, for example, might be reluctant to take or listen to your advice because when you provide the answer all they hear is a person who knows better than they do. Unlike a person of high self-esteem, low self-esteem people tend to be entirely focused on themselves, not the problem at hand. The fact that you know something they don’t, is seen as an attack on their self-esteem. The origin of this might be a superiority complex, which is in fact another form of an inferiority complex. A superiority complex is a set of coping behaviors seen in, for example, in competitive people and overachievers. They want to be the best in everything or at least one particular field. Their feeling of self-worth is directly tied to evidence in the environment of their superiority. Whenever the environment indicates they are not the best, these people experience a huge wave of fear. For quite some time this fear motivates them to work harder at what they do to become better and better. But this type of “learning” isn’t authentic or intrinsic learning, which is the purest learning process, free of pressure. Competitive people are guided by fear with the only goal to win. Their goal isn’t really mastering a skill or genuine achievement, i.e. quality or excellence. They won’t move forward unless they see a reason to ‘run faster’ than someone else. Staying behind someone else is their worst nightmare. Then you come along and throw in their face all these facts they never heard of. Obviously that hurts them because their internal image is to be the infallible and flawless king of all kings! The toxic / malicious advice seeker, the competitive kind, might hence “ask” for your advice with the intent of validating to himself that you do not know the answer. Then he will feel better about himself because he actually knows more about a particular subject than you do. You say you don’t know and all over sudden they experience joy. Toxic people can indeed come up with a bizarre repertoire of behaviors! Competitiveness; comparing with others constantly. The need to be right. Boasting. Low self-esteem occurs in everyone at times. Self-esteem may fluctuate during the course of a day as well. 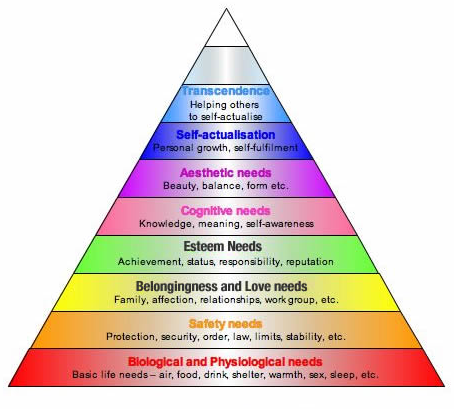 Especially when needs are frustrated (see Maslow’s pyramid of needs), low self-esteem may occur until the need is gratified. Low self-esteem is generally “self-inflicted” and may originate from counterproductive thinking patterns and habits. But even with high self-esteem advice seekers, it may be counterproductive to give advice. If someone had told Edison the solution, as in “build the lightbulb this way and it will work”, he wouldn’t be the same Edison. Edison wouldn’t really know why the design works since he didn’t discover it for himself. Fact is, by giving advice we take away the joy of learning: discovery. Perhaps, the best way to give real advice is to simply support the advice seeker in their journey, one step at a time. Perhaps answering questions with more questions is better than giving answers. It’s probably also good to keep in mind that no answer is ever complete, universal, and eternal. Things change and every person is different and has a unique perspective in life. What makes sense to one person’s situation may not apply to another. It’s my habit to finish as a preacher J That’s all I have for my notes for now. I hope this helps someone out there!